We were hoping that Apple would release a few new keyboard cover accessories for the iPads, alas it dropped the ball on that missed opportunity. Apple did however release a new leather Smart Cover folio case accessory for the iPad Air and Retina iPad mini that's a lot like the older Smart Case and Smart Cover hybrid, only made out of the same premium aniline-type leather found on the iPhone 5s Case. As you'd expect, the leather Smart Case features a sleep/wake magnetic closure and can fold into a viewing stand as well as into a comfortable typing angle while offering full front to back protection. The iPad Air Smart Case will set you back a hefty $79, while the smaller iPad mini version which is fully compatible with both the original and Retina iPad mini models, will cost you $69. The Smart Case comes in the same exact six leather color choices available for the iPhone 5s Case including black, beige, brown, yellow, blue and red. You'll be able to pick one up starting next month. We know what you're thinking, what in the world is that?! 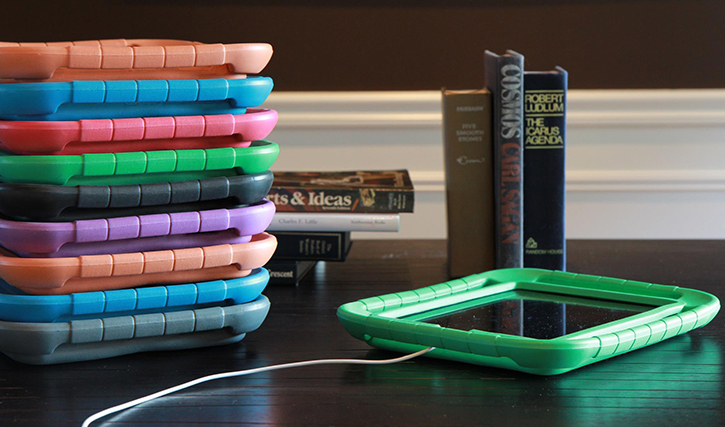 It's a Gripcase case designed to protect the iPad 2, 3 and 4 with an over-protective case within a case concept that is not only extremely effective in the sense of offering 360 degree drop-protection, but also provides users with additional grip thru a 4-sided handle periphery like no other case we've seen before. Dropping your iPad in this should never sink your heart. And there's even an iPad mini version too. Yes it isn't pretty or anywhere near being minimalist, but it definitely does look to be effective at what it was meant for which is to provide maximum handling and protection for virtually any application (except for bad weather and something called water) no matter the person's age that is grabbing on. The Gripcase's exterior grip handle, or railing actually extends above the front of the device and acts like an additional raised bezel in order to protect the iPad's most crucial aspect, the touchscreen, in a worst case scenario. The Gripcase's lightweight, and durable EVA foam body can absorb impacts and shock very well, and its unique bumper design helps in deflecting energy upon impact by bending as a crumple zone. Gripcase is obviously targeting parents with kids and special needs applications with its heavy-duty iPad cases which the company claims are kid-friendly, but I think it's safe to say that they're also kid-proof too. The back of the Gripcase is cut to reveal parts of the iPad's rear aluminum end, which is pretty cool looking yet under the cover of tough protection. 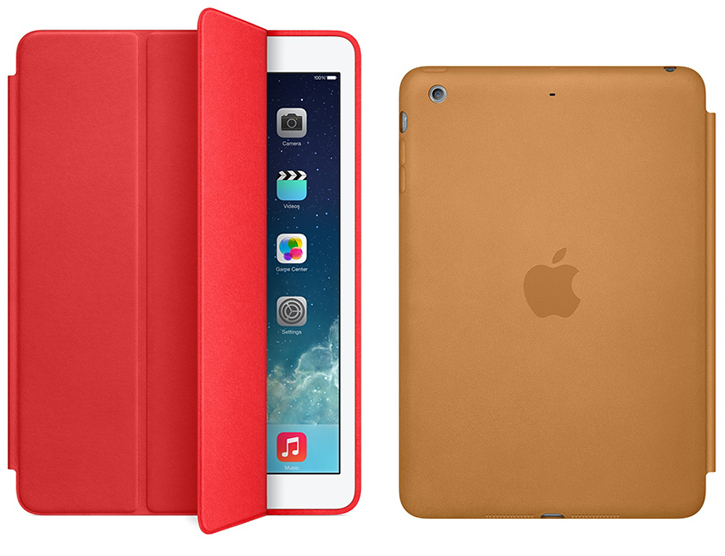 A Gripcase for a full sized iPad will run you $40, while an iPad mini version costs a bit less at $35. Both come in multiple colors and are available now. 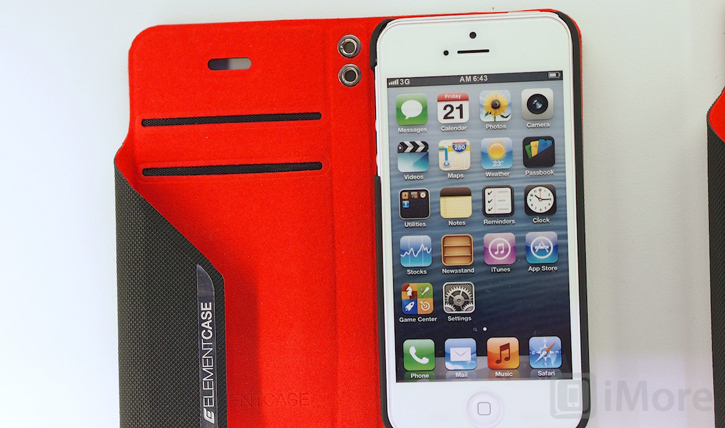 Known for its machined aluminum cases, Element Case's new Soft-Tec line of synthetically-made cases for the iPhone 5, Galaxy S3 and the iPad mini are finally available for purchase. 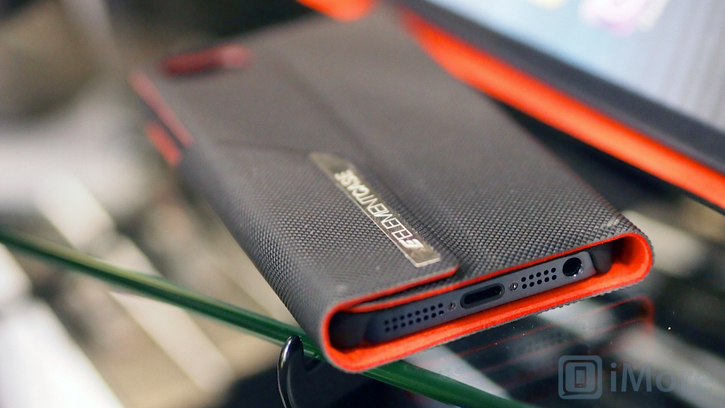 We first reported on the Soft-Tec cases back in January where Element Case first debut its new offerings at CES 2013. 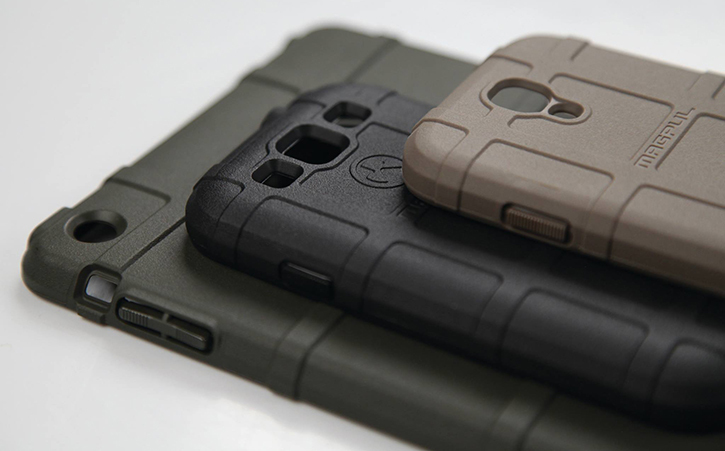 The company has released a $50 Soft-Tec wallet case for both the iPhone 5 and Galaxy S3 which is made using a new non-slip, grippy rubber material from Element Case called Tech Grip. The supposedly high-tech material is a coating with a matte rubbery finish made to enhance the grip and feel of the case. 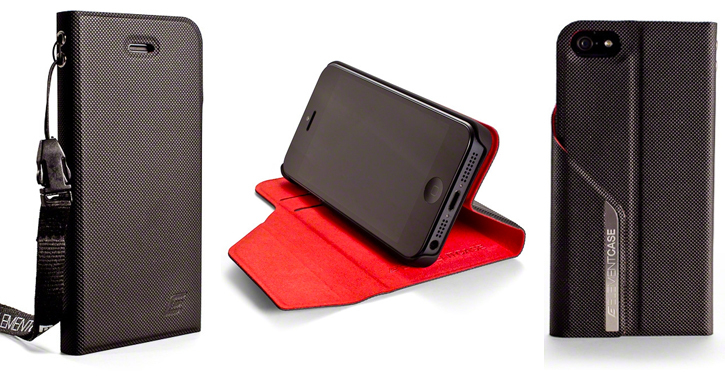 We've seen a similar material used in the TidyTilt iPhone cover. 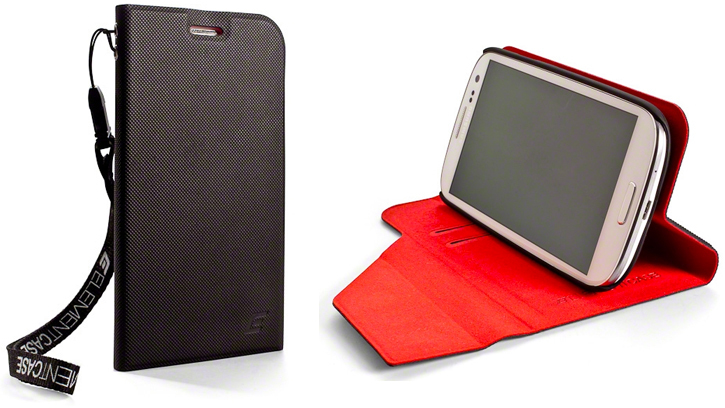 Element Case's Soft-Tec case has a slim protective profile with two card slots located on the inner flap. The Soft-Tec wallet case also features a magnetic closure and an embedded snap-on polycarbonate hard shell that can be folded into a horizontal viewing stand much like Twelve South's SurfacePad cover. We can't help but think about how this case opens almost like an old-school Velcro wallet, with lots of excess flap left to deal with while you're using your device Luckily, there's an earpiece cutout to enable you to talk on the phone whilst the Soft-Tec's flap remains closed. Both Soft-Tec models for Apple's and Samsung's handsets are designed exaclty the same, while Element Case's $65 Soft-Tec case for the iPad mini understandably leaves out the credit card slots.